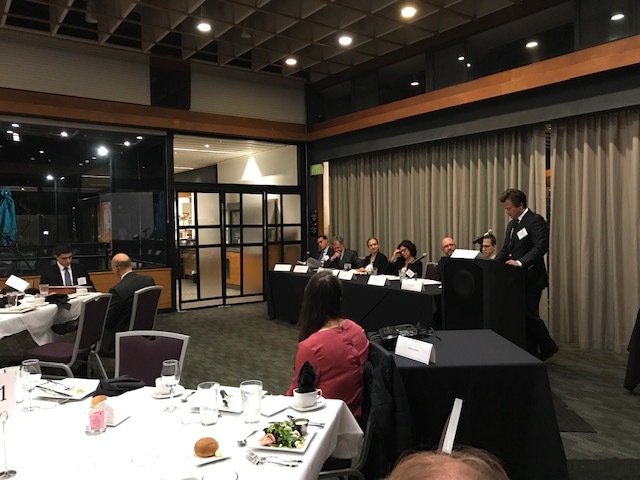 Group 2 reenacted portions of the U.S. Supreme Court oral argument in the WesternGeco LLC, v. Ion Geophysical Corporation, No. 16-1011, 585 U.S. ___ (2018) patent case. Oral argument occurred on April 16, 2018 and the Court issued its decision on June 22, 2018. Thank you to Group 2 for a lively and entertaining presentation! 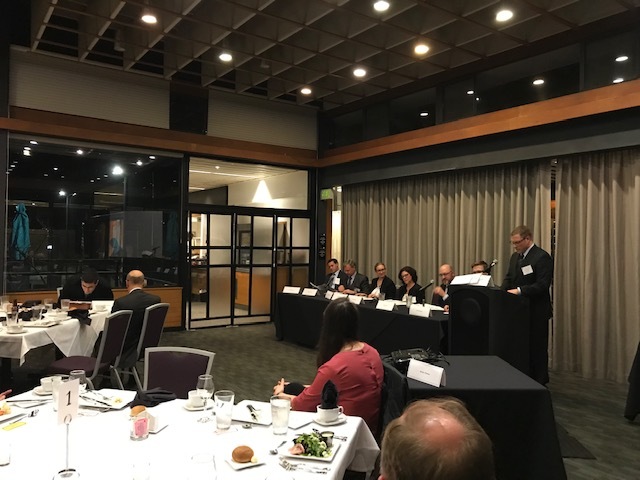 The Seattle IP Inn of Court is dedicated to improving the skills, professionalism, and ethics of the Seattle intellectual property bar. Its members include law students, lawyers, academics, and judges. Members meet once per month during the academic year. The Seattle IP Inn of Court is a chapter of the American Inns of Court. 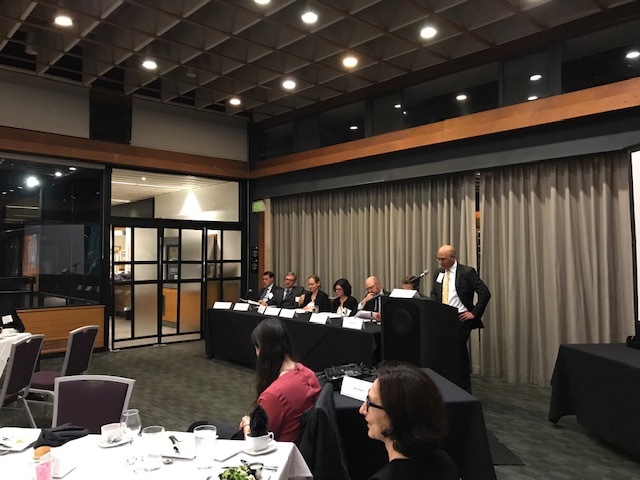 The Seattle IP American Inn of Court thanks the University of Washington School of Law for its ongoing support of the Inn's mission and programs.